This badge was issued to Robert Misch on 25 Mar 2019. 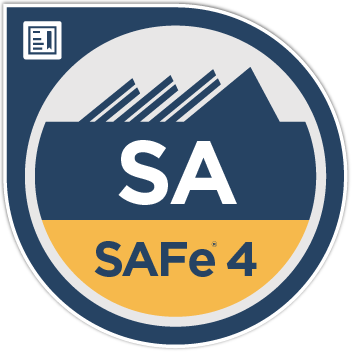 A Certified SAFe® 4 Agilist (SA) is a SAFe enterprise leadership professional who is part of a Lean-Agile transformation. Key areas of competency include the application of Lean-Agile principles, execution and release of value through Agile Release Trains (ARTs), and building an Agile portfolio with Lean-Agile budgeting.